KBS 2TV Wednesday and Thursday drama series Glory Jane (Man of Honor) will end on Wednesday, December 28th, 2011, with 2 final episodes of episode 23 and episode 24 broadcast back to back from 9:55 PM. The period between December 29th to December 31st is normally filled with atmosphere for year end awards ceremony, so the concern for the drama is reduced. So in order not to affect Glory Jane, and hence the above decision. The decision to broadcast the grand finale ending of Glory Jane on December 28th is overlapping with the broadcasting date of MBC’s Me Too, Flower!, attracting attention. 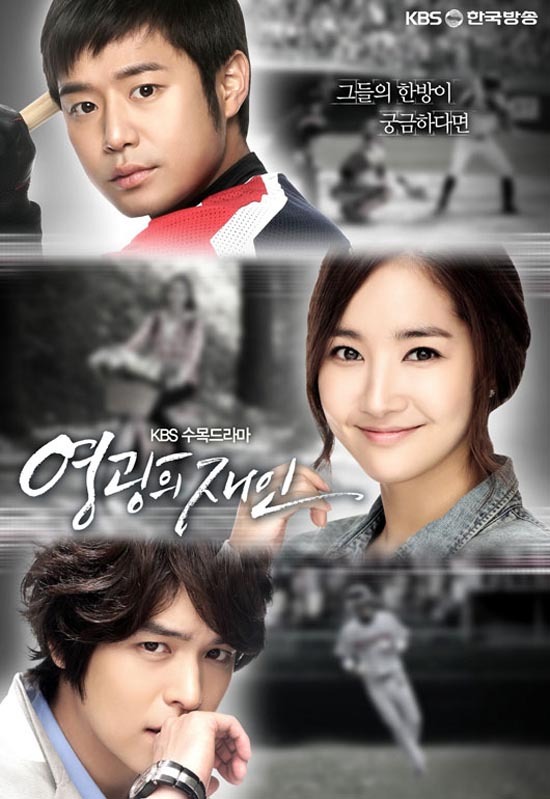 Glory Jane debuted on October 12th, 2011, and is starring by Park Ming Young and Chun Jung Myung. It’s the project of director Lee Jung-seob and screenwriter Kang Eun-kyung who are cooperated again after King of Baking, Kim Takgu (Bread, Love and Dreams).